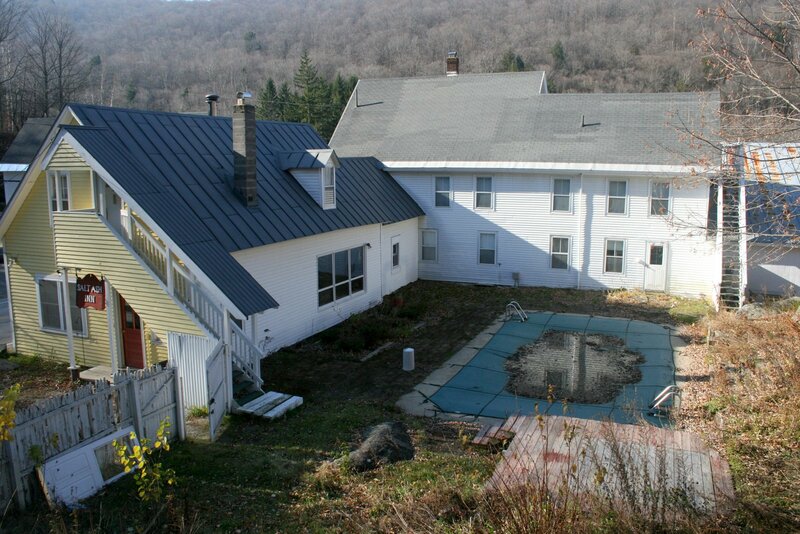 The Salt Ash Inn is conveniently located near Killington and Okemo Ski Areas in Calvin Coolidge’s hometown of Plymouth, in South Central Vermont. The Inn is a casual, home-style Vermont Country Inn. The main building was a 1830s stagecoach stop, a general store and a post office. It now offers 13 uniquely decorated guest rooms (all with private baths, TV’s and telephones). There are warm common areas for lounging or reading, a cozy rustic English style Pub with circular stone-hearth fireplace, and profuse WILD flower gardens surrounding the backyard and pool area.